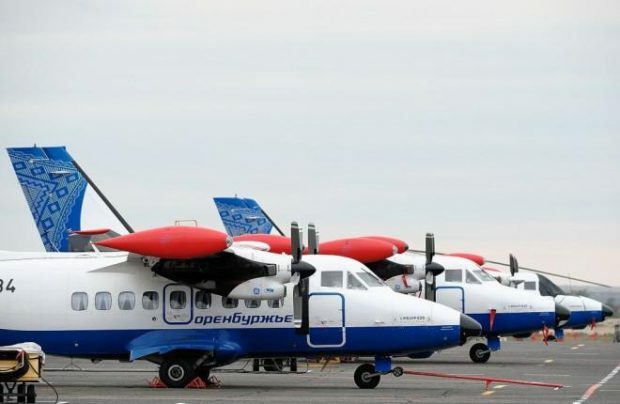 Orenburzhye, the Russian airline operated by Orenburg airport, will receive up to 150 million rubles ($2.67 million) in aviation development subsidies from the regional budget. Corresponding amendments to the 2017 budget, and to the projected 2018-19 budget, have been approved by the Orenburg Region legislative assembly. Orenburzhye operates 49 aircraft: 10 Let L-410 turboprop twins, 28 Antonov An-2 biplanes, five Mil Mi-2 and three Mi-8 helicopters, as well as three Robinson R44s. All of its L-410s, produced by Aircraft Industries (which is owned by Ural Mining and Metallurgical Company), were delivered under a financial lease contract with State Transport Leasing Company (GTLK). In 2016 the airline carried 95,742 passengers (2% down from 2015). Orenburzhye is currently looking at ways to expand its operations and launching new routes. The airline is in talks over possible operational lease of Embraer E190 regional aircraft. Three E190s previously operated by Air Canada are reportedly being discussed.